Ovulation refers to that time of reproductive cycle in females where an ovum or egg is released by ovarian follicles and travels through the fallopian tubes towards the uterus, where it is available for fertilization. Women have a pair of ovaries on either side of uterus. The main function of the ovary is reproduction. Ovaries contain unfertilized eggs which are also called ovum. The eggs mature every 28 to 30 days in an adult woman and get released from the ovary into the fallopian tube to get fertilized. If there is no conception, then the uterine lining collectively with blood is shed off. This shedding, of the egg and lining takes place each month in the form of menstruation. A mature egg lives for 12 to 24 hours after it leaves the ovary and generally only one egg is released during the time of ovulation and if the egg is not fertilized then it breaks up and is absorbed by the uterine lining. A fertilized egg requires 6 to 12 days for implantation after ovulation. Every woman has millions of immature eggs that be waiting for ovulation. There are certain conditions in which even after adulthood the eggs do not mature in the ovaries. Anovulation (lack of ovulation) or irregular ovulation, immature eggs or no egg production is one of main reason for infertility in women. Ovulation is a sign of health. The regular monthly release of an egg is a sign that your hormones are at optimal levels and, for the most part, balanced. Not ovulating – though you still might menstruate – often means that something is awry. Ovulatary Disorder is a common cause of infertility in women which occurs in up to 40% infertile women. Ovulatory Disorder is often characterized by absent or irregular menstrual period. Without ovulation, there are no eggs to be fertilized. This is the most common cause of ovulatory disorder. PCOS is a condition marked by many cysts in the woman’s ovaries (ovarian cyst) it has to do with hormone imbalance problem. This is when the production of the two hormones LH or the luteinizing hormone and FSH or the follicle stimulating hormone that stimulates ovulation is affected by stress or substantially high or low body weight. Ovulation is usually tracked using an ovulation calendar or calculator and by performing ultrasounds during the middle of the menstrual cycle. Here is what you need to know about delayed or absence of ovulation and ways that can help fix it. Women suffering from infertility due to ovulation problem are usually treated with medications which induce ovulation. The prescription medications stimulate the hormonal system and help in the restoration of hormonal imbalance. However, they can’t completely root out the source problem. With the rising cost of fertility treatments, more and more women today are turning to natural home remedies to improve their chances of pregnancy. This is because of the fact that natural home remedies do not have any side effect and has proved to be successful in many such cases. There are various natural home remedies that trigger ovulation and improve the chances of conception. Here are some of the proven natural home remedies to treat anovulation naturally. 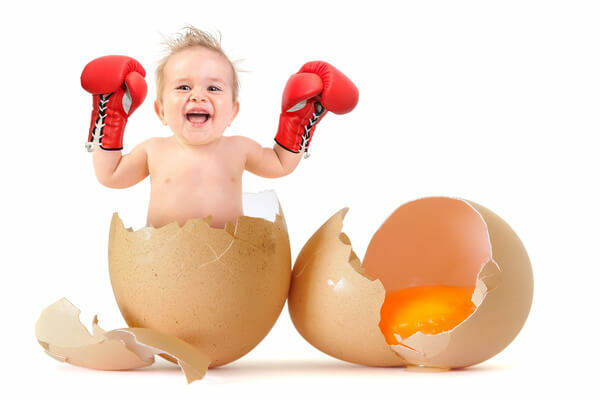 How to Increase Egg Production In Ovary Naturally? Make a fine and smooth powder. Take ½ tsp along with water. It will cure production of immature eggs or no eggs production in women. Make a fine and smooth powder. Take ½ tsp along with water in the morning and evening. This natural remedy is highly effective for treating production of immature eggs or no eggs production in females. Make a fine and smooth powder now store in a glass jar. Take 1 tsp along with lukewarm milk after breakfast, lunch and dinner for 40 days. This natural remedy is guaranteed to work for immature eggs or no eggs production in women. Take a few raw eggs crack and keep their eggshells also remove eggshell membrane. Now wash and dry the eggshells and roast on griddle. Make a fine and smooth powder. If the powder is equal to 1 cup then add 2 cups of honey into it and mix them together. Take 1 tsp of this mixture along with water daily on empty stomach. This remedy really works in treating production of immature eggs or no eggs production in female. To make tea, Boil 1 cup of water in a small pot. Add 1 tablespoon coarsely powdered fresh or dried leaves to the boiling water. Cover and simmer on medium-low heat for 10 minutes, strain tea into a mug mix honey and drink. Java plum tea is an effective home remedy to fix anovulation (lack of ovulation) or irregular ovulation problem. Dry the stem bark and grind into powder. Pour 1 teaspoon powder into a cup of hot water, then add ½ teaspoon ginger powder and allow infusing for 10 to 15 minutes. Take one cup twice a day for a period of 5 weeks. This remedy is highly beneficial in dealing with anovulation naturally. Soak 20-25 black raisins in half a cup of water overnight. In the morning on an empty stomach drink the water and eat the raisins. Raisins are full of vital nutrients such as iron, calcium, potassium, magnesium and phosphorous which provide essential strength to the body and all its organs and help them to function well and properly. They make the womb stronger and increase fertility. Regular use will enhance the ovulation process. Take fresh Winter cherry root coarse powder and add it to water, boil and reduce the water level to ½ cup. After reduction, do not filter the decoction add boiled milk to it. Continue heating this milk and Winter cherry decoction until reduced by 50-30 ml then filter it. Take 30 ml/ 2 Tbs in the morning on an empty stomach along with ½ tsp of ghee and loaf sugar powder. If you are planning for conception, it can be taken every morning, for a period of 2-3 months. Once after preparing this remedy, it should not be re-boiled. And it should be emptied within 3-4 hours after preparation. It is better to take this remedy when it is hot only. Ashwagandha improves quality of ovum. It helps to strengthen the ligaments of the uterus and ovaries so as to prepare for pregnancy. Make a fine and smooth powder of both separately now store in glass jars. Take ½ tsp mix in a cup of warm milk, with honey, or loaf sugar and ghee for a period of 2-3 months. Asparagus root nourishes the ovum or egg and enhances fertility as it contains estrogen-like compounds. Shatavari cools the body which is good for egg production. Egg implantation requires a warmer and cozier womb. Consumption of this herb can help improve follicular maturity and stabilize irregularities in the menstrual cycle all of which can have increase chances of conception. Royal Jelly is a fertility super food which may help to increase egg quality and quantities. Royal Jelly is the food that only the queen bee eats. What makes a queen bee the queen is eating royal jelly exclusively. She was an ordinary bee and then she was chosen and fed royal jelly and became the queen bee who lays up to 2000 eggs a day. Take one capsule of Royal Jelly 500 mg on an empty stomach daily for best results. It should be taken for at least three months before natural conception or IVF procedures begin. Royal jelly is the Queen bee’s equivalent of hormonal stimulation. If you are allergic or think you are allergic to bees or bee products, do not take royal jelly.